Hello gang, Jerm here with a update about a place I went to last week! I had lunch with a client over at the newly renovated Sheraton Suites Tampa Airport Westshore last week and had lunch at the St. James Restaurant & Lounge, the dining venue located on the first floor. 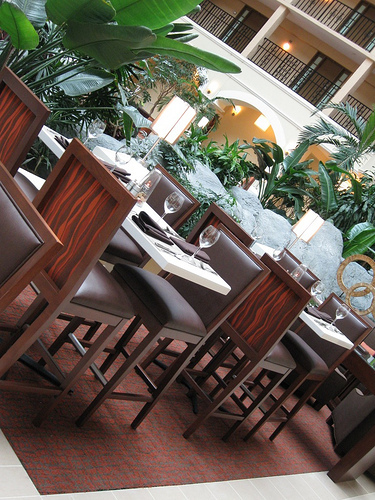 St. James Restaurant & Lounge serves premium fare in a casual atmosphere. It was as about as relaxed and laid back as one can imagine, which is great when you need to step away for a minute and unwind to some good food! Speaking of food! Oh yeah, you knew that was coming especially since Jerm has been a bit of a piglet lately, but I can&apos;t help myself with all of the grate Tampa Bay dining options we have here in this area. First off, if you go there, you have to start off with the bacon wrapped shrimp and grits! Yes you heard that correctly, bacon wrapped shrimp and grits! That&apos;s three of my favorite things all on one plate. Being from the south, I grew up on grits and its always a good day when I get to have some, and these bad boys don&apos;t disappoint. As far as the bacon wrapped shrimp goes...well that speaks for itself. I am generally very picky about my seafood, but I would pretty much eat anything that you wrapped in bacon! After the appetizer, believe it or not I was still hungry, and actually needed to continue stuffing my face. Took one look at the menu (actually more than one look) and saw the hamburger sliders on the menu! 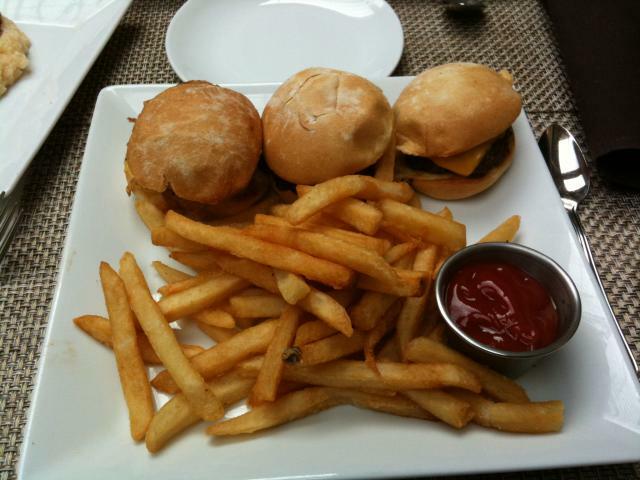 In case you didn&apos;t know...hamburger sliders = heaven. Food came out pretty fast, and in a flash I was chowing down! As you can imagine, dessert was not happening, since I was a tad bit full, but that just gives me another reason to go back! Don&apos;t get me wrong though as while the food is good, St. James offers a great sports bar setting so feel free to stop by for the big game, or just to wind down for happy hour! That&apos;s it for now from me folks, but be sure to drop back by as we give you the low-down on all of the great dining related things to do in Tampa Bay options!